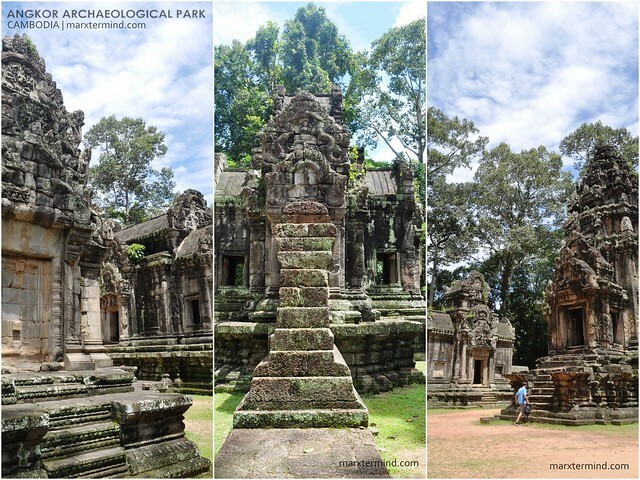 I never thought that temples in Angkor Archaeological Park could this be huge and plenty. Indeed, some of the temples are situated a little too far from each other, thus a ride is needed when getting to these temples. First, I thought we’re done visiting the temples as the Angkor Wat itself is already huge which took us almost 3 hours to tour around. But in fact, 3 hours isn’t enough to totally discover every corner of the temple. We skipped some of its parts so for us to get on early. Well aside from that, we’re already feeling slightly tired and hungry. 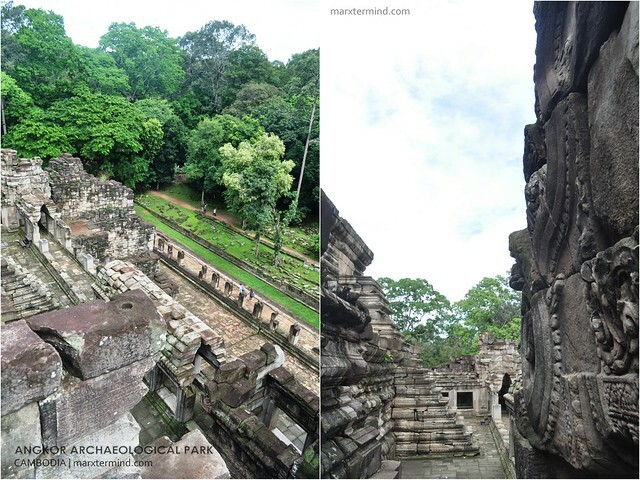 From Angkor Wat, we were taken to the South Gate of Angkor Thom. 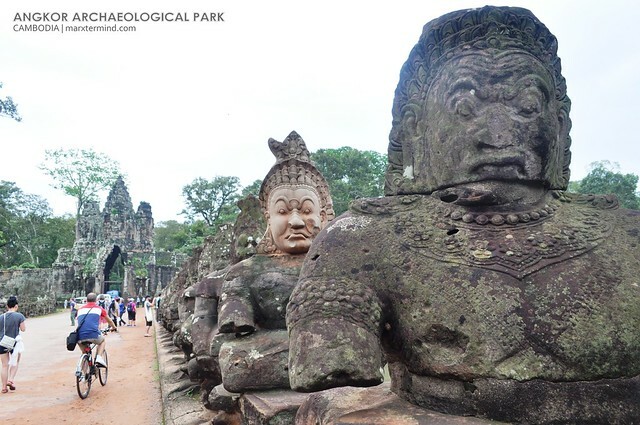 The name “Angkor Thom” literally means great city. 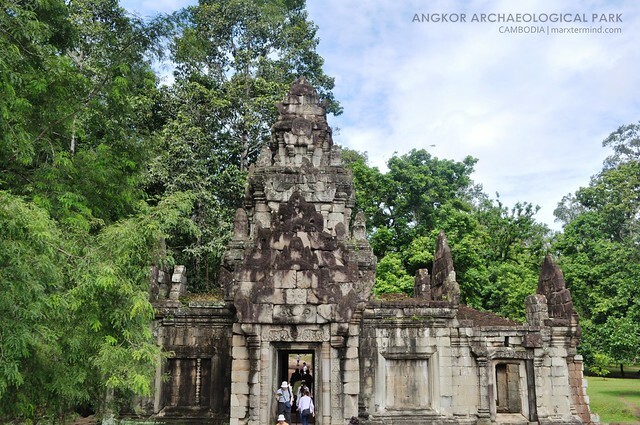 Situated on the right reservoir of the Siem Reap River, it is said to be the last and most enduring capital city of the Khmer empire. 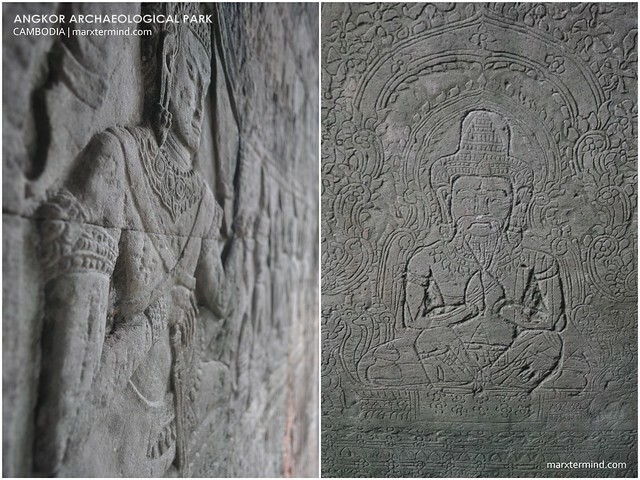 The city was established in the late 12th century by king Jayavarman VII and afterwards recognized as the capital of Jayavarman VII’s empire. 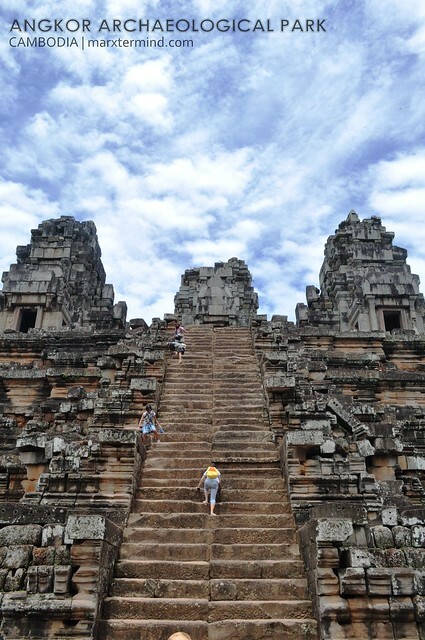 Three of the most famous temples to visit in this city are Bayon, Baphuon and Phimeanakas. 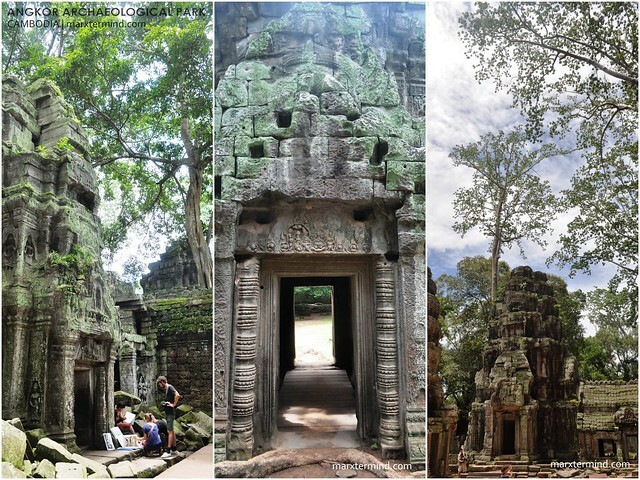 We first visited Bayon which stands at the center of Jayavarman’s capital. 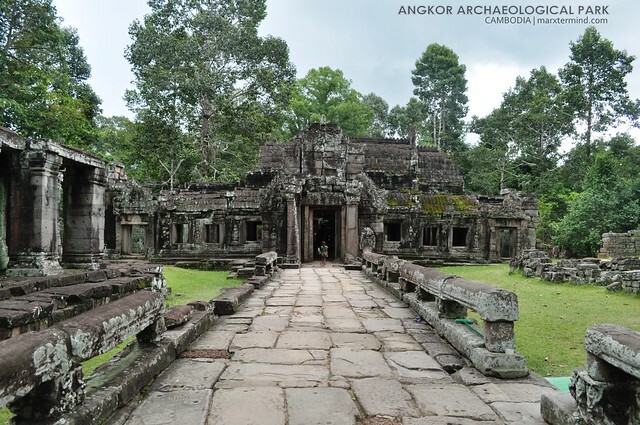 This temple is said to be the official state temple of Angkor Thom. I noticed that there were no walls unlike the first temple we had visited. The temples seems to be compressed which is very evident because of its passageways. 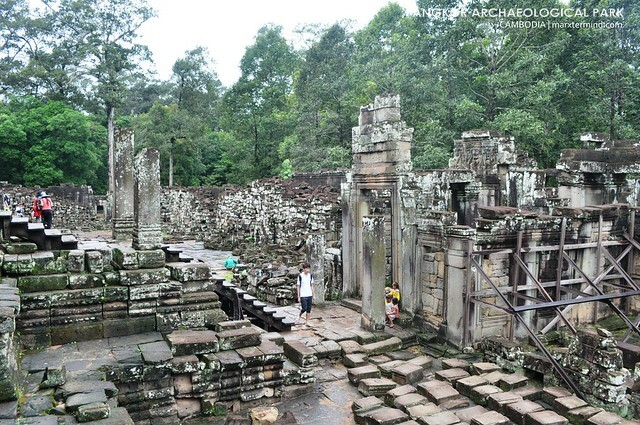 After a quick tour inside the temple, we walked to our next site, Baphuon. This temple is located at the northwest side of Bayon which we had walked for about 5 to 10 minutes. Well, we had rested for a couple of minutes first before going to the site. The temple is constructed as the state temple of Udayadityavarman II which has been dedicated to the Hindu God Shiva. The temple was converted to a Buddhist temple in the late 15th century; thus a statue of a reclining Buddha was built on the second level of its west side. Please take note that appropriate dress code is being observed on this temple. Because one of my buddies was wearing a short shorts that time, she wasn’t able to come in thus he’s husband too. So it’s just me and my other friend who entered the temple while our two other friends waited for us outside. The temple is a three level temple which made us very hard to tour it around. This temple is huge. The make shift stairs were steep. There were no concrete walls but only ropes tied around for safety purposes. We went down from the other side of the temple and landed to a forest like area which directed us to the next site, Phimeanakas. 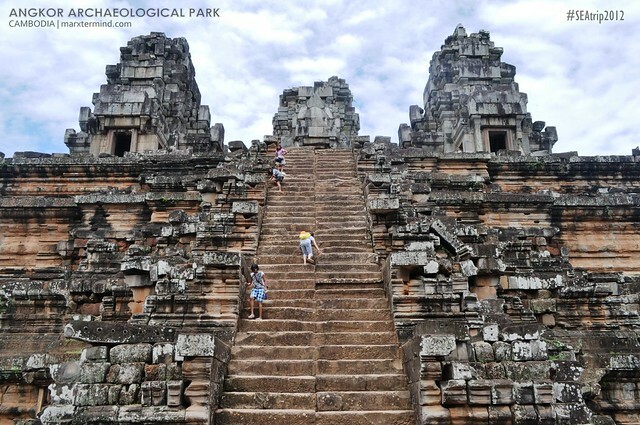 Phimeanakas means celestial temple in Khmer. 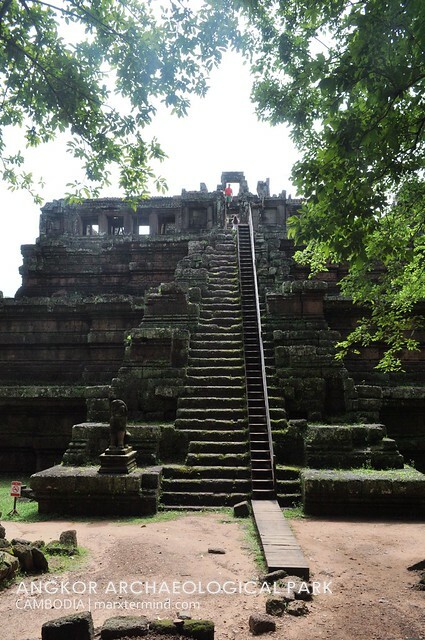 It was built at the end of the 10th century as a Hindu Temple in a shape of three level pyramid with a tower on top of it. Me and my friend was only able to pass by this temple. We didn’t bother to get closer to this temple to any further extent as we were already dead-tired. Temple hopping, eh! By this time, we didn’t know which way to go. We just followed some of the tourists. 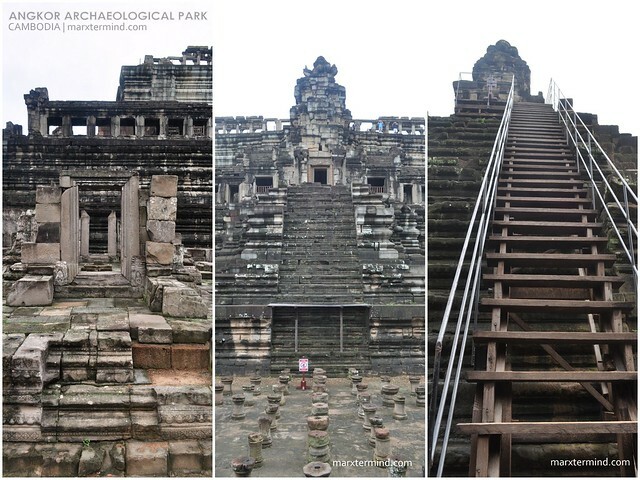 We were able to pass by some noticeable structures like the Terrace of the Elephants and Terrace of the Lepper King but again we didn’t bother to get closer to these structures anymore; though I was able to capture some snapshots. Me and my friend continued our walk until we got to the parking area where we assumed our tuktuk drivers are there waiting for us. Luckily, our intuition was right. Our drivers were there waiting for us. Because we were so tired, we didn’t know anymore how to get in touch with our other friends who were patiently waiting for us at the Baphuon entrance area. We don’t want to walk back to that area anymore. Well good thing, my friend has an active roaming that time so we just sent a message to our friend assuming that our friend will be able to read it. We asked one of the tuktuk drivers to get to Baphuon so to fetch our other friends. A little later, he went back along with our friends. We then left the area and hopped into the next temple. 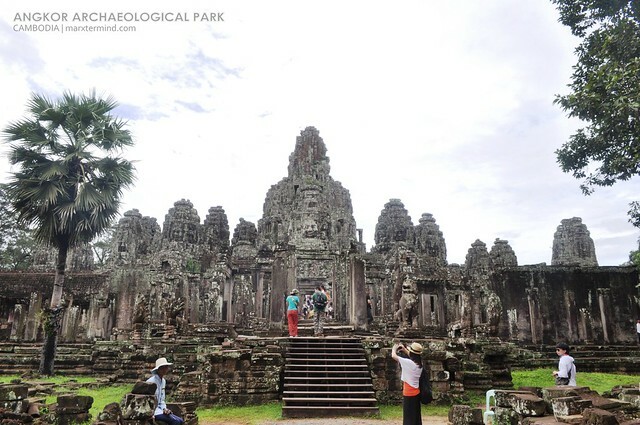 Situated at the east side of the Gate of Victory of Angkor Thom, this temple is part of the UNESCO World Heritage Site inscribed by UNESCO in 1992 titled Angkor. The temple is said to be as one of the Hindu temples built during the supremacy of Suryavarman II which has been dedicated to Shiva and Vishnu. 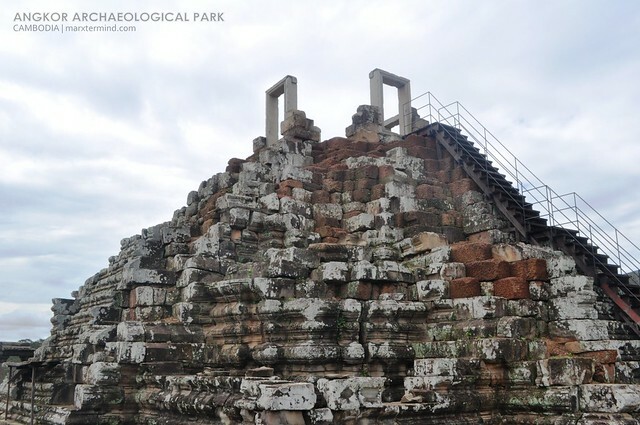 Located between the Gate of Victory of Angkor Thom and East Baray is where Ta Keo is. It is just a few minutes away from Thommanon for the temple to be reached. 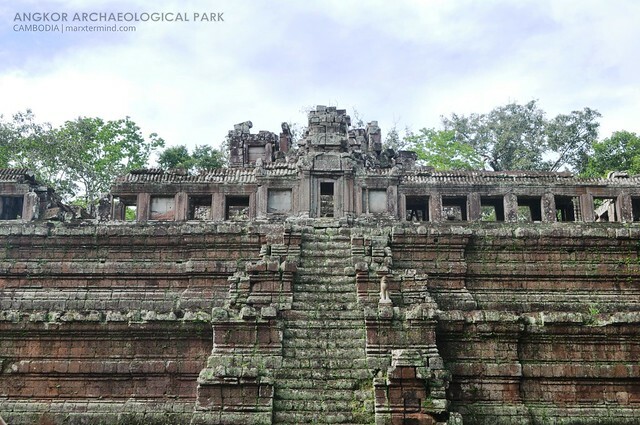 Ta Keo is a temple-mountain which is said to be the first one to be built exclusively of sandstone. Because all of us are already exhausted, my friends didn’t bother to enter the temple anymore and just stared the whole piece of it from the outside. But when I finally regained a little energy by resting for a couple of minutes under the tree, I went inside the temple and had a quick look of it. I wasn’t able to get to the summit of the temple anymore as I couldn’t be able to exert more effort anymore to step up but the view of the east side of the temple was so incredible which made my quick visit inside of it very rewarding already. I don’t know but I suddenly remember the movie “Transformers” by looking at those temple peaks wherein it resembles a scene from that movie where the temples transformed into robots. Seriously, is there such scene in the movie Transformers? I went back to my friends, then we decided to leave the area. We then asked our tuktuk drivers to bring us to the nearest restaurant for us to have our lunch first before getting to the next temple. We were brought to a restaurant specialized in Khmer and Western food. 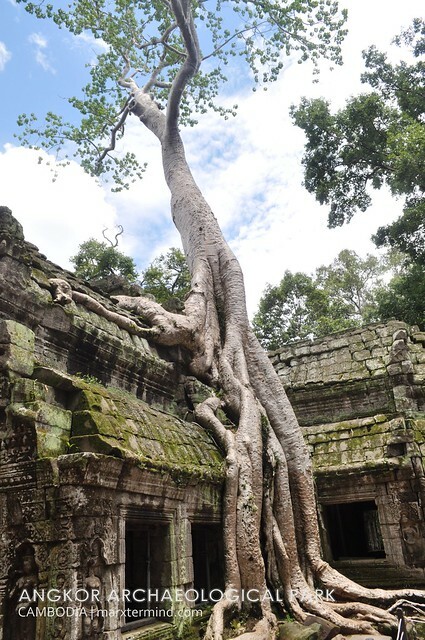 Subsequently after we had finished our lunch, we went to my most anticipated destination of this temple hopping, the Ta Prohm. Ta Prohm is very famous to tourist because of its uniqueness amid the various temples surrounding it. Its atmospheric ambiance and its restoration made this temple very distinctive from any other temples we had visited. 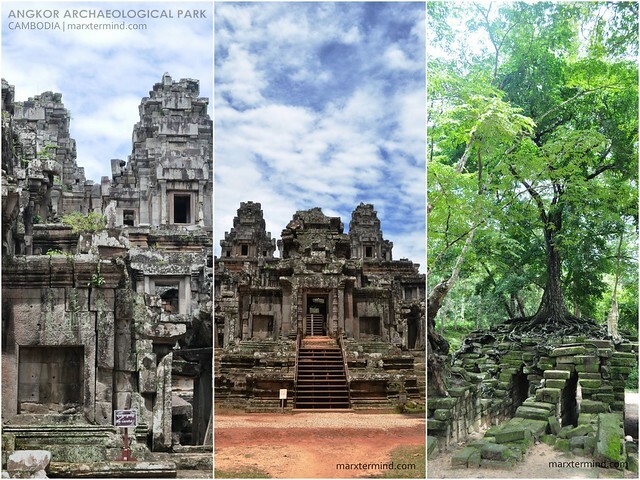 Without a doubt, the picturesque trees mounting out of the ruined structures and the forest-like setting have made it as one of the Angkor’s most well-liked temples by visitors. 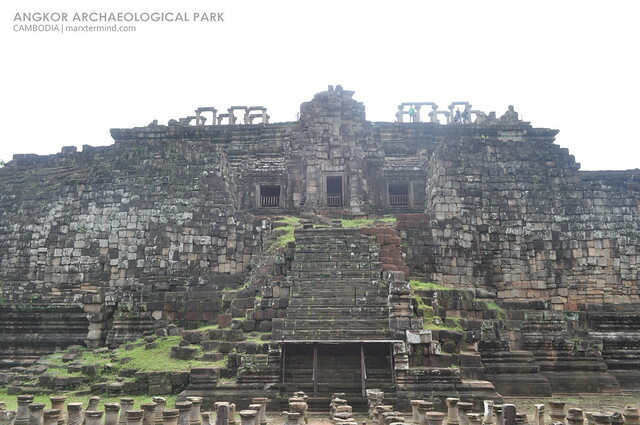 In fact, the temple was inscribed by UNESCO as part of the World Heritage List in 1992. A few walks from the gate, we were able to see one of the much awaited sights of the temple. 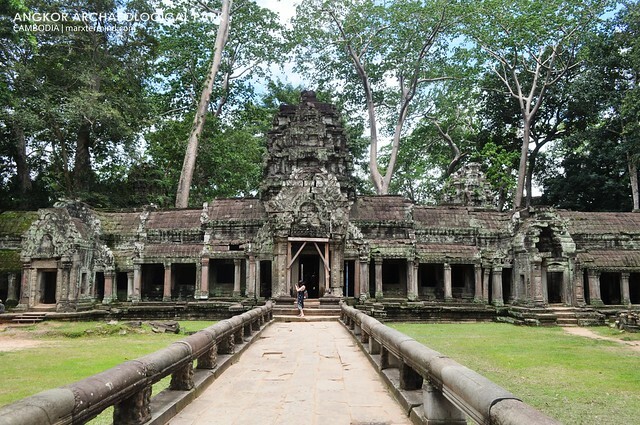 In fact, the place is very famous because it has been used as a location in the film Tomb Raider. 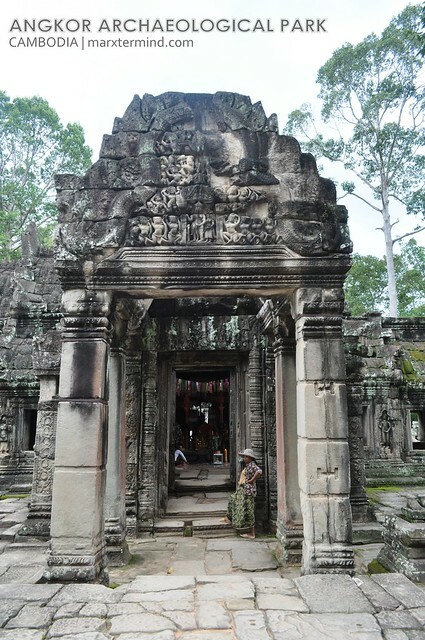 The area is so broad to explore that you have to enter one small temple to another. There are a lot of way ins for you to enter but you don’t have to worry as these entrances only lead to a same end. 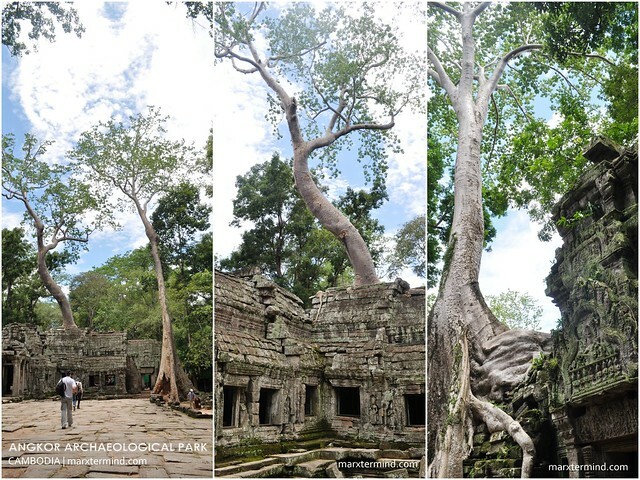 We spent more or less an hour exploring the vast complex of Ta Prohm. We went back to our tuktuk drivers and subsequently moved on to the last leg of temple hopping, Bantay Kdei. 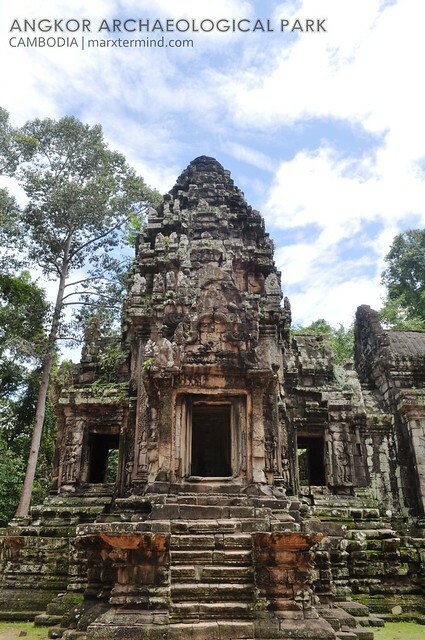 A few minutes ride away from Ta Prohm is where the Banteay Kdei is. 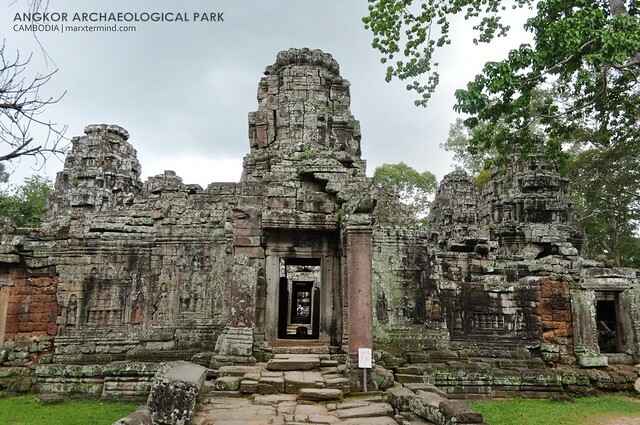 The temple complex is located southeast of Ta Prohm and east of Angkor Thom. 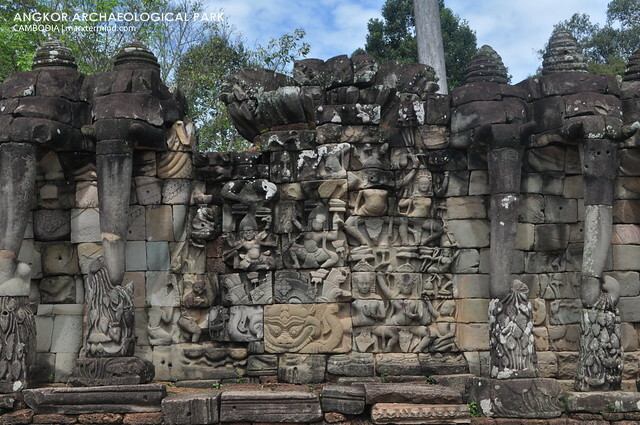 The name Banteay Kdei means “A Citadel of Chambers”, it is also known as “Citadel of Monks’ cells”. 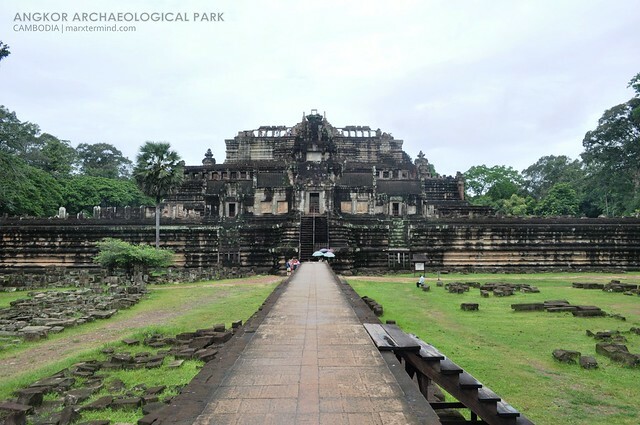 The temple is a Buddhist temple which was built in the mid 12th to early 13th centuries AD during the supremacy of Jayavarman VII. I must say that this one was the easiest for us to tour as we don’t have to climb up and down. We just walked straight on its middle passageway. Though there are some small areas along the path to see; we again didn’t bother to explore more of it since everything seems identical already. Across the temple complex was a lake or lagoon like area is. Certainly, a good sight to end our temple hopping. Afterwards, we returned to our tuktuk. 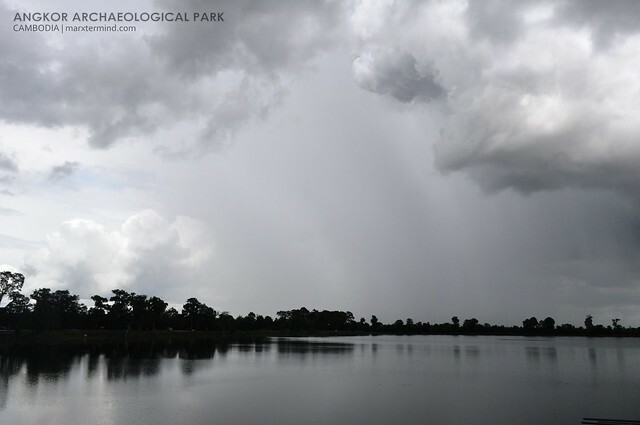 We then left the temple park heading back to the central district of Siem Reap. For the reason that we don’t have enough US dollars yet that time except for a few bucks that I had in my wallet ever since and which we paid for our lunch awhile ago, we looked for some money changers first to have our Philippine Peso replaced to US Dollars. We only found few money changers who accept changing Philippine Peso. Surprisingly, these money changers offer incremental rates for every currency exchange. We somehow couldn’t afford to sell our Peso in a lower rate so two of my friends went to the airport to take a chance on exchanging our money there. Unfortunately, the money changer there also do charge incremental rates for Philippine Peso. It was a lesson learned for us that next time we visit a place like this, we should have to bring US Dollars. Well regardless of that predicament we had, it was still undeniably that Cambodia is a Kingdom of Wonders. The structures, the temples, the culture, the food and the people making this country a wonderful kingdom to visit. 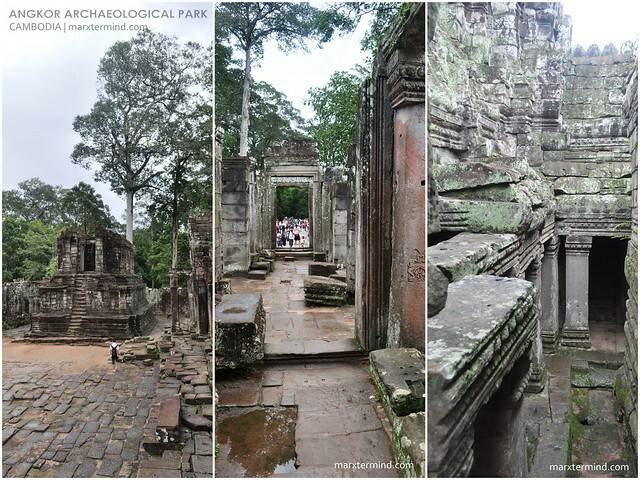 Ang dami pa lang temples sa Cambodia. grabe exciting! next month siem reap na din kami 🙂 temple hopping mode! ganda ng mga pictures!! HOLY!!!! ANG Ganda! The pictures say it all!! I hope to travel there soon. PS. Ang ganda ng theme ng blog mo! I LIKE! Whew! 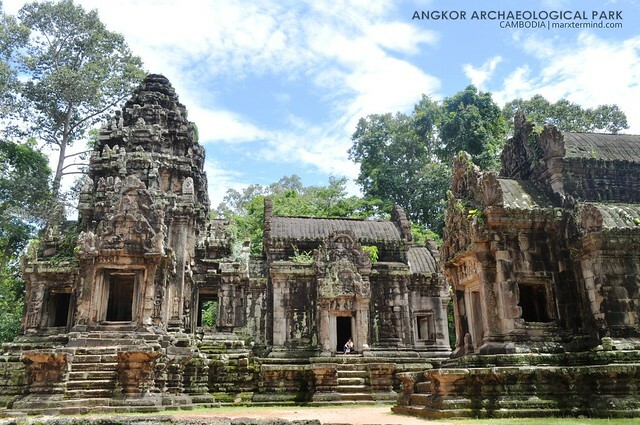 One day is not enough to see all the temples of Angkor! na amaze ako sa movie ko lng to nappanuod ..
weve been here and really like the place!!! How to Apply for a Canada Tourist Visa in the Philippines?